Bobby Rahal, a principal of Rahal Letterman Lanigan Racing, which runs BMW Team RLL in the IMSA WeatherTech SportsCar Championship, has been named the recipient of the 2017 Rolex Bob Snodgrass Award of Excellence, presented by Gorsline Company. The announcement was made by Bob Snodgrass' son Harris during the Road Racing Drivers Club annual members' dinner, held at the Daytona 500 Club on Wed, Jan. 24. "I'm here on behalf of my family, to present an award that is very important to me," said Harris, "and a long-running tradition that means so much to me. Not because of what it is, but because of what it reminds me of and the characteristics I don't ever want to forget about my father as time passes. 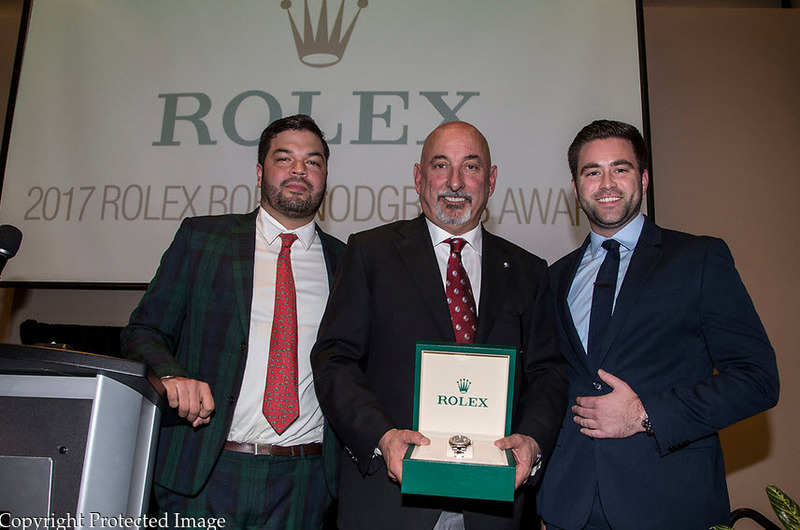 "I would like to thank Rolex, Gorsline Company and Mr. John Gorsline for continuing to make this award possible. "As most of you know, my dad was a really cool guy. He was a car nut, like most of us, a strong-willed giant with a teddy-bear heart, and a strength for keeping his word. The fact that his impact on people is still relevant now and has been for over a decade is so important to me; it will always keep me grounded. "He was my best friend, my mentor, and someone whom I look up to more and more each day, even though he is gone. Not a day goes by that I don't hear a story or see a picture, and get reminded of who he was. 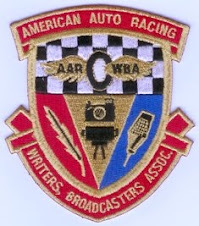 "The award acknowledges a team owner or manager who has demonstrated the qualities of honesty, integrity, passion for the sport, and an infinite, passionate love of cars altogether. These are characteristics that made my dad who he was, so the basis for the award is perfectly fitting. "I am proud to name Bobby Rahal as the winner of this year's award." 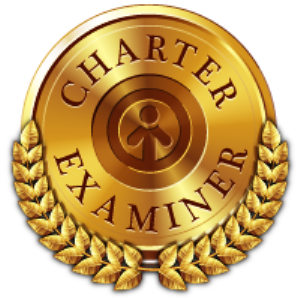 The other candidates for the 2017 award were Doug Fehan and Ben Keating. After retiring from driving in 1998 he spent time with Jaguar's F1 effort, then became the interim boss of CART. Along with former late-night talk show icon David Letterman and businessman Michael Lanigan, he is a principal in the IndyCar and IMSA teams. BMW Team RLL won the 2010 ALMS GT team and manufacturers titles and swept the top two spots in the 2011 12 Hours of Sebring, securing the ALMS GT drivers' championships, and winning again at Sebring in 2012. To date, BMW Team RLL has scored 17 wins, 23 poles and 68 podiums. In 2017, the team won four races, the most in one season in the team's nine years with BMW Motorsport, and finished second in the Manufacturer, Team and Driver championships. Rahal was presented with a specially engraved Stainless Steel and Platinum Rolex Yacht-Master by Rolex Watch USA. "My dad's loyalty to Rolex as a watch brand was concrete, and this particular watch was one that he loved so much. It was used as an incentive for many of the employees at Brumos (in Jacksonville, Fla.)," said Harris. "To be in the company of people like Doug and Ben, wow," said Rahal, upon accepting the award. "Thank you, everybody. "I swear it wasn't rigged," he added, referring to his being the evening's M.C. and the president of the RRDC. "I got to know Bob in '79 or '80, when I first started driving Porsches in IMSA racing. He was just a wonderful guy, always open. When we were racing in Watkins Glen (N.Y.), he took me around Elmira (N.Y.) where he was from, showed me his upbringing and we went and had lunch at a greasy spoon that he always frequented. I did buy a few cars from Bob, too. "This is a real thrill, so thank you Harris, thank you Susan (Snodgrass-Wilkinson, Harris' mom) and thank you to everyone from Rolex." About Bob Snodgrass – Snodgrass, who passed away in 2007 at the age of 64, was president of Brumos Racing and president and CEO of the Brumos auto dealerships in Jacksonville, Fla., where he lived for 35 years. As a team-owner he had three Rolex 24 At Daytona wins (Brumos Racing has eight) and a total of 10 wins at Daytona. He was a driving force behind the formation of the Grand American Road Racing Association and the Daytona Prototype class. Born in Elmira, N.Y., he saw his first race at Watkins Glen, N.Y., and was hooked. Famous for his humor and wit, accomplished vintage car racer, Snodgrass (along with Peter Gregg, who owned Brumos Porsche from 1965 until his death in 1980) was instrumental in Brumos' entry into motor sports. About Rolex - Rolex, the Swiss watch brand headquartered in Geneva, enjoys an unrivalled reputation for quality and expertise the world over. Its Oyster and Cellini watches, all certified as Superlative Chronometers for their precision, performance and reliability, are symbols of excellence, elegance and prestige. Founded by Hans Wilsdorf in 1905, the brand pioneered the development of the wristwatch and is at the origin of numerous major watchmaking innovations, such as the Oyster, the first waterproof wristwatch, launched in 1926, and the Perpetual rotor self-winding mechanism invented in 1931. Rolex has registered over 400 patents in the course of its history. A truly integrated and independent manufacturing company, Rolex designs, develops and produces in-house all the essential components of its watches, from the casting of the gold alloys to the machining, crafting, assembly and finishing of the movement, case, dial and bracelet. Rolex is also actively involved in supporting the arts, sports, exploration, the spirit of enterprise, and the environment through a broad palette of sponsoring activities, as well as philanthropic programs. About Gorsline Company - Gorsline Company, headquartered in Rochester, N.Y., pioneered the business of providing insurance for high-risk professionals. The company specializes in providing racing drivers and owners creative, custom-designed insurance packages and estate planning strategies. As drivers sped through a quick right-left portion of the club course Wednesday, January 10th, 2018 at Sebring International Raceway, their hands were notably busy as they got back into the throttle. Occasionally they made sudden corrections. Sometimes they slid to the right on the exit of the left-hand corner. More than once, they kicked up dirt as they used all of the exit and drifted off the pavement. The overall theme derived from that portion of the track? The drivers best able to adapt quickly to the changes brought from a new universal aero kit will be the ones who win races. Welcome to what is bound to be an eventful 2018 Verizon IndyCar Series season. The introduction of the kit has changed everything for drivers. The car is lighter on downforce, especially in the rear end, making cornering, braking and throttle control more difficult – and more essential to success. Hunter-Reay, Marco Andretti, Alexander Rossi and Ed Jones had their first shot at the new kit during Wednesday’s test session. Like others who have tested it previously, they described it as completely different from what they’ve driven in the past. Andretti Herta Autosport with Curb-Agajanian, the partnership between Herta and Michael Andretti’s Andretti Autosport, will field the No. 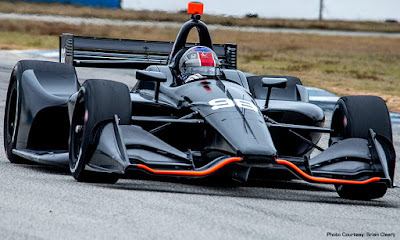 98 Honda again this year in the Verizon IndyCar Series, with one major change: Marco Andretti will drive it (with Herta calling Marco’s race strategy for a second straight year), while Alexander Rossi moves to Andretti’s previous car, the Andretti Autosport No. 27 Honda. But the underlying story of their switch is the entire team’s effort to piece together four cars with the new universal aero kit in time to get them from its Indianapolis shop to Sebring for the test session. The term “universal aero kit” makes the 2018 car sound like the Dallara IR-12 chassis has simply been fitted with new bodywork. In reality, the change is extensive, calling for a complete rewiring of electronics, movement of radiators and movement of key elements of the turbocharger system. They cautioned against making final judgments about the effect of the kit after only a few hours of testing, but all repeated the theme about the difference between it and what they’ve driven previously. All four Andretti Autosport drivers – Hunter-Reay, Andretti, Rossi and rookie Zach Veach – took part in Wednesday’s session alongside Chip Ganassi Racing’s Jones and Scott Dixon. Zachary Claman DeMelo, the 19-year-old Canadian who won an Indy Lights race last season at Road America and made his Verizon IndyCar Series debut in the season finale at Sonoma Raceway, was scheduled to test for Dale Coyne Racing, but a paperwork issue with results of a recent drug test kept him from participating. 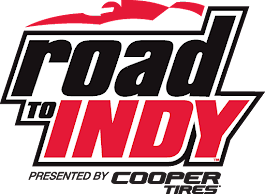 A hundred yards away in the Chip Ganassi Racing transporter, Mike Hull went over details of the new car and the manpower it took to get cars ready for Scott Dixon and Ed Jones. As managing director of CGR’s INDYCAR operation, Hull oversaw the complicated process of getting the parts and people in the right places. Those who drove the car for the first time Wednesday spoke about braking stability and rear grip. They also spoke about the challenge of adapting to a new style of driving. 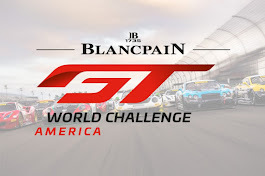 Additional team testing is scheduled for Sebring in late and more at Sonoma Raceway in California in early February before the entire series heads to ISM Raceway outside Phoenix for an open test Feb. 9-10 on the short oval. The season-opening Grand Prix of St. Petersburg is set for March 11. Until then, the familiarization continues. Great crowd one and all - (L to R) James Groth, Edmund Jenks, Stefan Pagnani, Lou Leto, Philippe de Lespinay, and Thomas Stahler. At the January meeting of the Motor Press Guild (MPG), Shell brought in Pennzoil and Quaker State experts to discuss and disseminate details regarding the current status and future of motor oil. Within, there was a very serious warning for the consumer and professional auto expert alike. Current ILSAC GF-5 and near future API SN Plus/GF-6a oils will be good for automobiles ranging from the first Model Ts to the latest 2018 Toyota Camry requiring ultra-light weight 0W-16 viscosity motor oil. When the ILSAC GF-6b standard is finally disseminated and becomes available to the consumer as early as 2020, using that oil in your current car could place your vehicles engine at risk of seizure and stranding you on the side of the road with a very expensive repair ahead. With the ILSAC GF-6bs harsh warning out of the way for future vehicle use, a new API SN Plus and the latest ILSAC GF-6a specifications are meant to add even more protection from a recently discovered combustion event arising from the automotive industry’s use of Direct injection and turbo charging. It is called Low Speed Pre-ignition (LSPI). The new oil formulations will mitigate LSPI, lower friction even further, and increase how far we can travel on a given quantity of fuel. 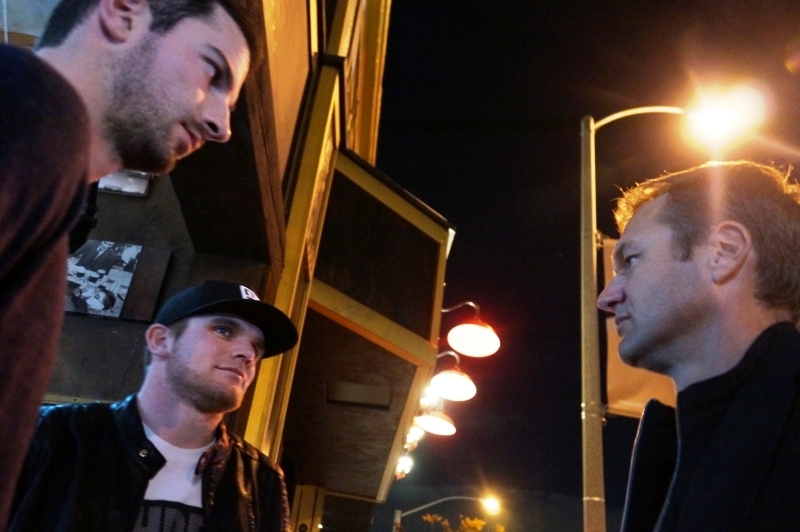 Verizon IndyCar Series drivers Alexander Rossi and Conor Daly know a lot more about what happens on the upcoming 30th season of CBS’ “The Amazing Race” than they will divulge. That’s because Rossi and Daly are sworn to secrecy, especially when it comes to details surrounding their performance as one of 11 teams competing for a $1 million prize. Anyone who wants to know what happens to them on the long-running show, which had its season premiere at 8 p.m. ET, with a stream opportunity link at CBS All Access – AR30. The show’s social media accounts have offered a few clues about how Season 30, which was taped for several weeks last fall, progresses. So far, we know that the teams kicked the competition off in New York City and then headed to Iceland where one team was eliminated by mere seconds. The two teams (actually three - Joey Chesnut of #TeamChomp was in attendance) that participated in the Verizon IndyCar Series Amazing Race 30 Episode-1 Viewing Party and Media Event held at Rock & Reilly's Sunset Strip just a couple of doors West of the famed Wiskey A Go Go, #TeamIndyCar of Conor Daly and Alexander Rossi & #TeamJody of Big Brother 19's Cody Nickson and Jessica Graf. Daly, Kanaan, Castroneves and reigning Verizon IndyCar Series champion Josef Newgarden have all also competed on NBC’s “American Ninja Warrior” in the past two years, shedding more light on the athletic abilities of INDYCAR drivers and drawing new followers to the sport. Viewers will see funny moments between Daly and Rossi and get to know 2016 Indianapolis 500 winner Rossi better, according to his teammate. “Alex’s personality really comes out and that’s awesome because he’s a good dude,” Daly said. The drivers caught the premiere of the show tonight in Los Angeles at a private watch party with two (actually three as referenced above) other Season 30 cast members – Cody Nickson and Jessica Graf of “Big Brother” fame. Tune in to INDYCAR’s social channels – @INDYCAR on Twitter and Instagram – to follow what happened at the exclusive watch party, which began at 9 p.m. ET ahead of the West Coast airing of the premiere. “The Amazing Race” airs at 8 p.m. ET Wednesdays on CBS. The Verizon IndyCar Series kicks off its 2018 season with the Firestone Grand Prix of St. Petersburg on March 11.